Made from organic bamboo, this cute snack box is the perfect size for a sandwich or a healthy fruit snack. It’s portable enough to take on a day trip or even to play school as the blue elastic fastening means the food stays safe inside. The box is also versatile. Use it later as a storage case for crayons or maybe miniature bunnies. Best of all, the artwork for this adorable snack box is taken from the original illustrations in the Beatrix Potter series. 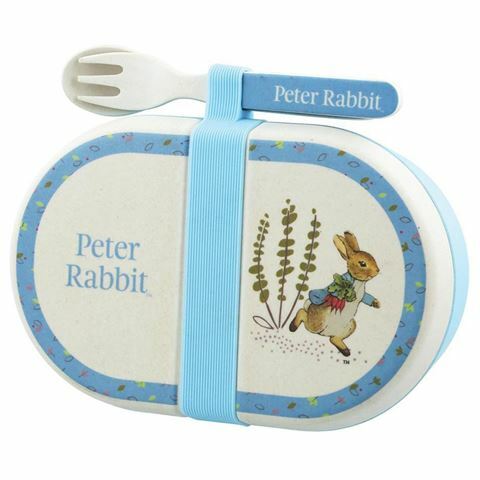 It features Peter in his favourite blue jacket clutching a healthy looking bunch of carrots.